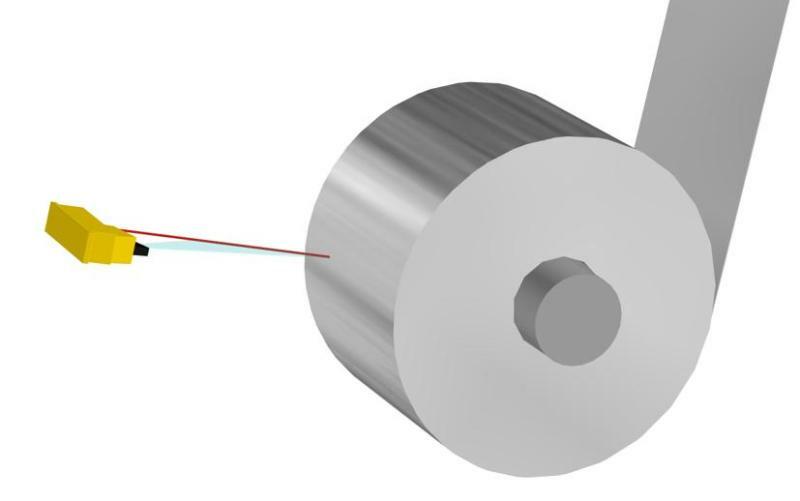 The Trilas TL is a digital, high resolution, non-contact laser triangulation sensor for measurement of dimensional data. The target may be hot or cold, stationary or moving. Measurement at distances up to 10 m, measuring range up to 8 m.
High accuracy : better than 0.08 % to 0.15 % depending on the measuring range. Fast response time : 5 ms.
2, 5 or 10 mW laser to adapt to different conditions : environment and target temperature. Autonomous sensor : ready to use, no calibration required. 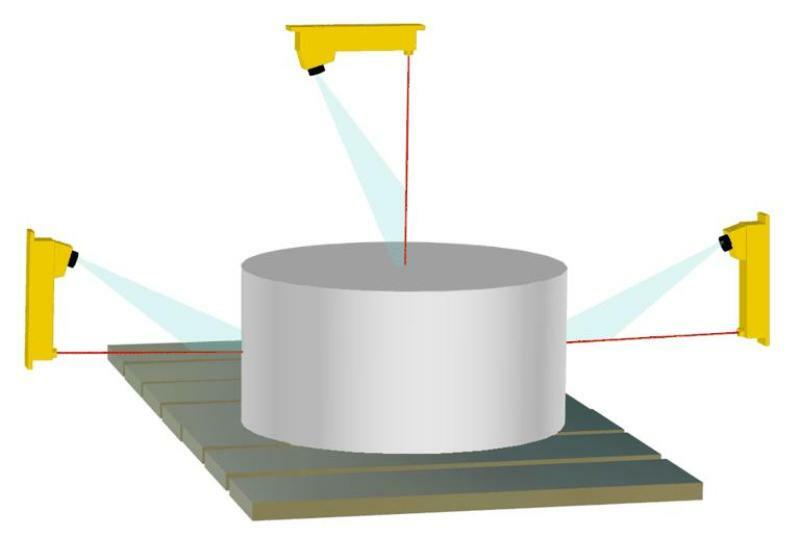 By combining several sensors, dimensional measurements and shape readings can be achieved. The Trilas TL is an autonomous sensor mounted in a cast aluminium housing containing a visible laser emitter with its power supply and a diode array with focalisation optics and a signal processing electronic circuit. 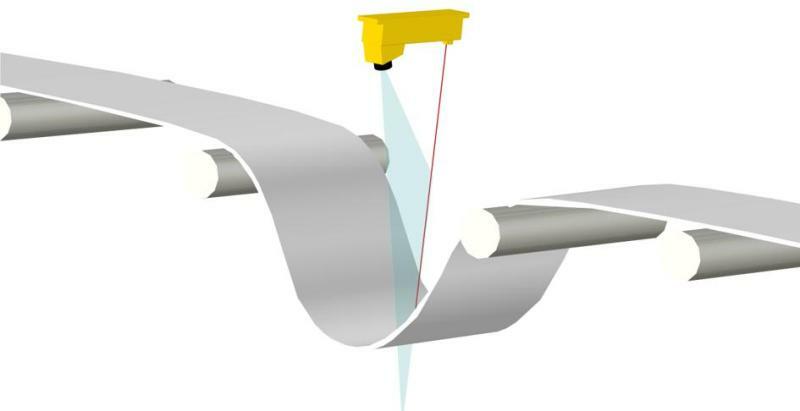 The output of the laser beam as well as the input of the focalisation optics are each protected by a protective hood with an air connection. This avoids dust deposit or steam interference. The electrical connection is made via a connector. The sensor is delivered already equipped with the corresponding plug on silicone armoured cable (2 m standard length). 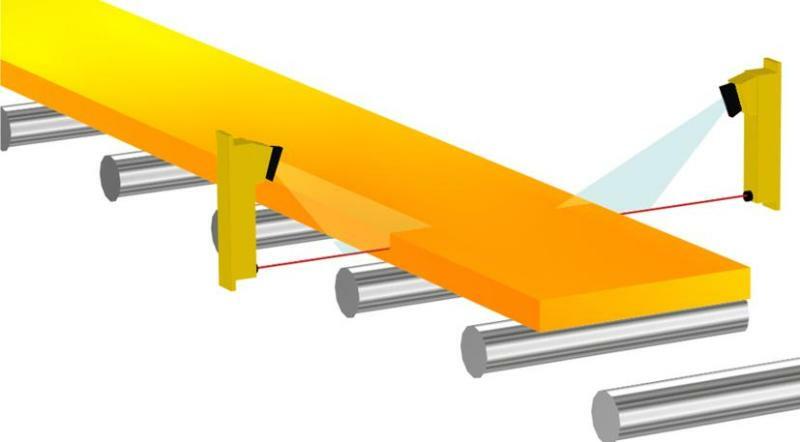 Different models of TL are available depending on laser power and measuring range. 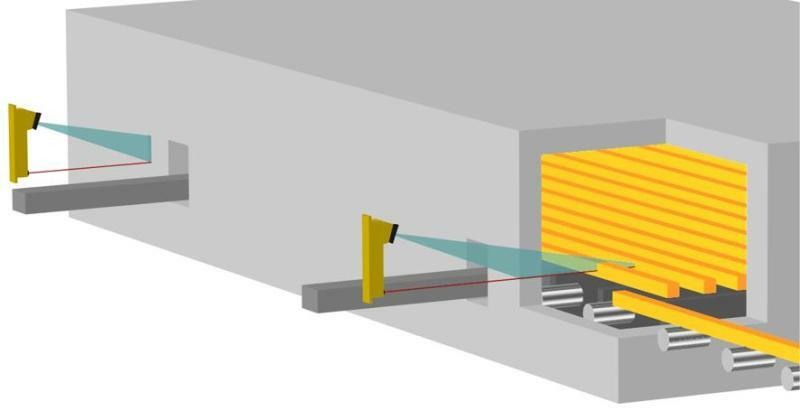 The Trilas TL sensor uses the principle of optical triangulation. 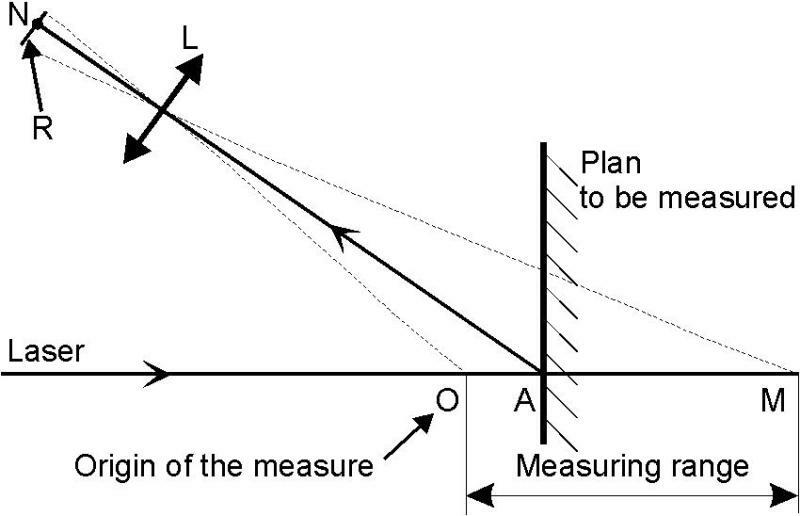 A diode array R observes through an optics L the image of the impact A of the emitted laser beam on the measured surface. The distance OA is related to the address N of the lighted diode of the array. The relation, depending only on the geometry of the system, is determined by a factory calibration. The Trilas TL can be ordered with analog output 0-10 V or 4-20 mA and with communication protocol serial link RS485 or Profibus-DP.